​So now, that I am getting into the process of wedding planning, I actually thought about Bridal makeup for my very own wedding, and what I would do and what not to do. Getting married is huge, and you definitely don`t want to be stuck with pictures which you will regret in the future, after the wedding is over and done with. For me, firstly I am big on skincare, and no makeup will look good on you, unless you keep you`re skin in tip-top form. So do have a good day and night-time skincare routine, and follow this routine, leading up to you`re wedding. Drinking lots of water, will get rid of all toxins, which will definitely give you that extra glow you need, leading up to the big day. For me this is big. At times I feel more positive about doing my own makeup because I have more faith in me. But with that being said, there are really good makeup artist`s available and with a trail being scheduled five weeks prior, plenty of time to figure out what will work and what not. 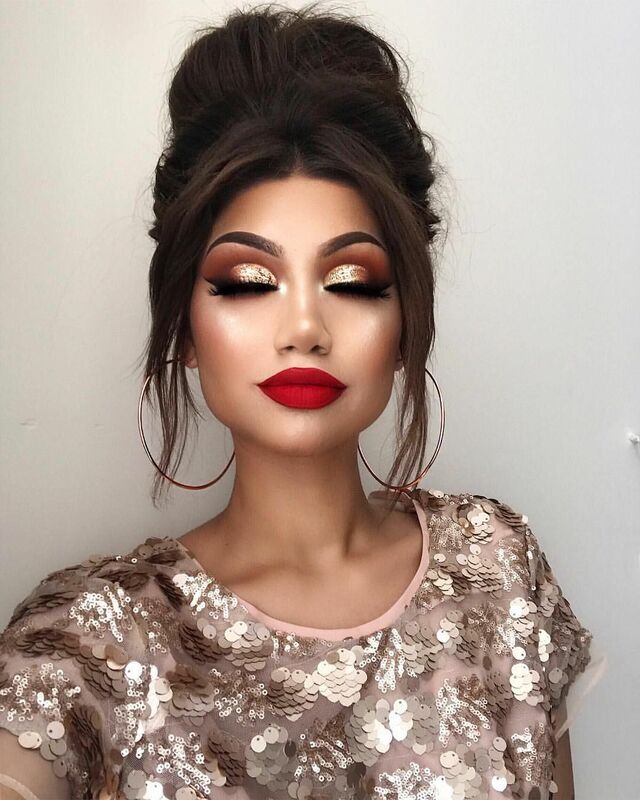 Also, another tip, is to have the makeup trial done, with you`re hair done too, and some jewelry similar to which you will be wearing on you`re big day. This way, the complete picture will come to play. Also, consider the makeup outcome in natural light as well as on pictures, it could make a huge difference. If you have a look you like or love, take a photo of that look, with to the trial. This way the make up artist has something to work with. These looks range from lip colours to eye colours and also you should consider when you getting married, summer or winter, huge difference, but bring on the Glow. For me I am all about the eyes, I love eyeshadow, and I know what I want my eyeshadow to look like. And yes, I also love using false lashes, if you struggle with lashes, ask the makeup artist to apply them. It makes a huge difference to an overall facebeat. Dont forget to pay attention to makeup basics, which overall will bring the look together. For me, exfoliated lips, softly groomed brows, and good skin is a must. Make sure you or you`re bridesmaid or maid of honor carry with some powder for shiny skin, lipstick, concealer a brush or sponge in you`re bag. These are your touch up products, and they will save you, once you feel you`re lips need dash of lipstick or you`re skin could do with a puff of powder. If products have been working for you, dont change them. Changing you`re skincare products, could lead to breakouts and irritable skin, which would mean, minimal or even no makeup. Having you`re wedding makeup done should be a treat and not torture. So dont allow the makeup artist, who in most cases you have just met, and who doesn't really know you to go all out, and just do what they feel should be done. Stick to you`re guns and speak up about whether you like something or not. You dont want you`re hubby to be to get the shock of his life, when he sees you and you end up looking like someone he doesn't know at all. Yes, the eyes should be defined. But no, you shouldn't look like you`re going to a Halloween party! On you`re big day, we dont want you sweating and rushing before you walk down the isle. The drenched with sweat look, is not easy on the eye at all. So allow for enough time, atleast 45 minutes- 1 hour for makeup application. Now I love both glossy looks and matte looks, so on either of these its up to you. With glossy lips, I find my lips tend to get too dry and cakey. So I would want a matte lip for only a short time and for the rest of the day I would rock a glossy lip. And this concludes my makeup do`s and dont`s for my big day. Hope it helps those who still plan to walk down the isle or even those ladies who still need to go to their matric ball`s etc. If you have any cool tips to share please leave you`re comments below.